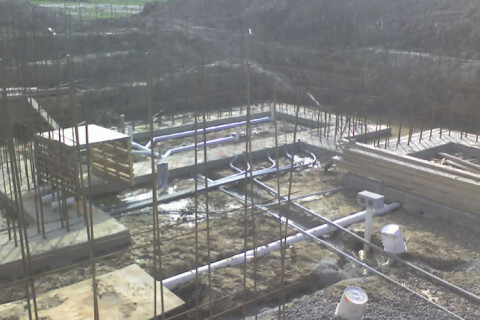 PIPING – Glenn Richardson Plumbing & Heating Ltd.
Every building has a significant amount of piping from water piping to drain piping and piping for heating. Piping ranges significantly not only in purpose but also in size and type. When a piping contractor is running piping for a new building layout is very important to ensure that the piping will meet building code and still accommodate the proposed layout. Aside from the piping running in the walls there is the direct plumbing running from the piping in the wall to the fixtures themselves. 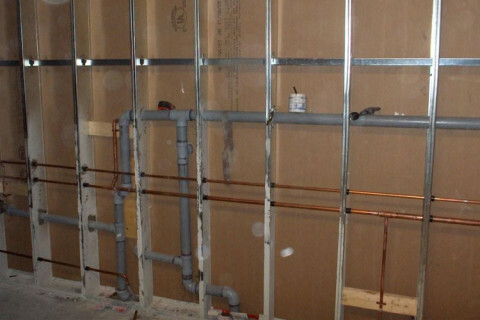 The plumbing installation for these fixtures is generally the last step in renovations. Again the piping being used will range in size and type based on the fixture itself. Over time the integrity of a pipe will start to wear down which is where leaks start to occur. Leaks can be repaired on a pipe versus replacing a full section however the more a pipe is repaired the weaker it becomes. A piping replacement is the best option once a few repairs have been done to the same line. Without replacing the section of piping leaks will continue to move along with line to the next weakest point. In the case of water lines or heating lines a line can be isolated in some buildings if there is a valve on the line. If there isn’t a bypass valve then the building or section will need to be trained to replace a section of piping. In the event of a leak along the piping for fixtures a plumbing repair will be required on the line. Depending on the cause of the leak a repair of the line may be possible but otherwise a replacement of the section will be done. Generally fixtures have a shut off valve which means it can be isolated for repair versus have to shut off the water for a large section.